How Consumers Really Use Augmented Reality - Upcoming Media Inc.
Augmented reality (AR) has often been associated with gaming, entertainment, and social media. In other words, people find AR experiences engaging and fun. However, more and more brands are recognizing that the impact AR has can be extended beyond the realm of Pokémon GO and into consumer experiences that can boost repeat sales. 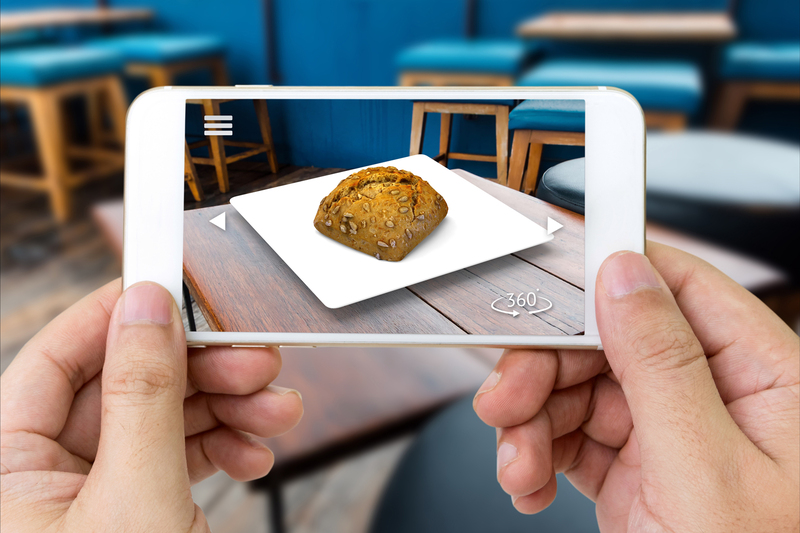 As with any new technology, there are few consumer insights and even less information on how brands can use AR in their messaging and marketing. To develop the correct AR strategy, brands need to look deeply at how consumers really use (and perceive) AR. Recently, VentureBeat.com surveyed an online research exploratory group to determine AR’s definition, relevance, and impact on the lives of the participants (download the results). The intention was to use the data insights to help brands use AR technology to communicate their message. Although most respondents cited use cases that pertained to the more traditional AR applications, such as gaming and entertainment, there were also cases where more practical applications in tech, home improvement, and retail were noted. In other words, respondents – and consumers, by extension – are open to trying out these types of experiences on these non-traditional channels. Based on these findings, multiple business sectors looking to extend their reach can leverage the different use cases to their advantage. However, overcoming consumer barriers such as privacy concerns, having to learn something new, and breaking old habits can potentially stunt your AR campaign. Keep AR experiences entertaining: Consumers are using AR primarily for fun and entertainment. Keep your AR app fun and easy to use so your audience will keep coming back. Show how you solve a customer need: Clearly demonstrate how your app will address and solve a customer need. This will encourage new users to try it out, especially when advertising it. Keep the AR application simple: Since AR may be new to many of your customers, keeping the application simple will reduce frustration and increase engagement and retention. Brand your AR app: Name your app with something that aligns with how it works or what problem it solves. Highlight privacy concerns: Consumers are getting more uncomfortable with sharing their personal information, so be sure to include an easy-to-read privacy and security policies within your app to build awareness. Above all, effectively communicating that your AR experiences are meant to help consumers by saving them time, providing entertainment, and solving a problem will likely result in a test use of your app. Getting consumers comfortable with AR will lead to increased comfort with the technology, and future expectations of these enhanced, multi-sensory experiences in shopping, travel, entertainment, food & drink, and much more. Although AR gives companies the opportunity to improve their brand experience, increase customer retention, and enhance consumer insights, they need to take the correct steps as they adopt this relatively new technology as it evolves and becomes part of the marketing mainstream. Have a specialized need that will enhance your customer experience through AR technology? Talk to us! As an official Facebook and Snapchat Partner, Upcoming Media can help bring your concept to life from the initial design and build stages right up through launch day. No matter how complex your idea, our development team has the experience to use AR technology to build interactive solutions that your customers will love. Connect with us at contact@upcomingmedia.com for more information!